Cold smoking is a cool trick to have in your flavor profile arsenal routine. While cold smoking is not a safe way of cooking foods it is a spectacular way of adding incredible flavors. With the right equipment and a little creativity you can add a delightful smoked profile to just about anything. Here is a look at five cold smoke generating options if you decide to get started. Here are five different options for generating cold smoke that range from the simplicity of using a cardboard box to gadgets that will cost you well over $100. Choosing the right one for you will depend upon what type of equipment you are already using and what foods you plan on smoking. 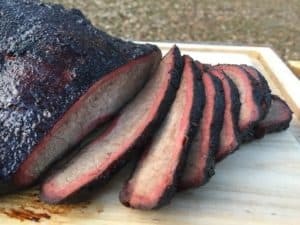 The easiest way to get started with cold smoking is to simply build a small fire in your smoker and use a deflector to keep any direct heat away from the food. Here is a great video from Bill West that uses this approach to cold smoke some hard boiled eggs. While this is a quick and easy way to generate cold smoke it does have its limitations. It is hard to maintain a small fire like that for a long time so if you want to smoke cheese for several hours you might find yourself banging your head a bit. Another drawback to this technique is that sometimes the wood chunk will catch on fire and burn instead of slowly smoldering and smoking. In this case you will be losing smoke and gaining heat…and we don’t want that to happen. I am throwing this in the mix just to show you how easy it can be to make a cold smoker. Obviously you are a little limited by this design since you can only hang foods but it wouldn’t take too much creativity to figure out how to incorporate a grilling rack. The most popular was of generating cold smoke is the use of metal tubes or trays that hold either wood pellets or sawdust and burn them in a slow controlled manner. I will show you the two most popular brands but there are other models/options out there that employ this concept. You can take either of these two products and put them in a standard grill or smoker and get great smoke flavor. Both the A-Maze-N pellet smoker and Pro Q tray come is different sizes and configurations. They work great and the size and shape is really dictated by where and how you plan on using yours. There are plenty of smoke wood choices available for either product in the form of pellets or sawdust. A key to using either of these devices is making sure your grill/smoker is able to maintain an adequate air flow in the absence of an additional fire. 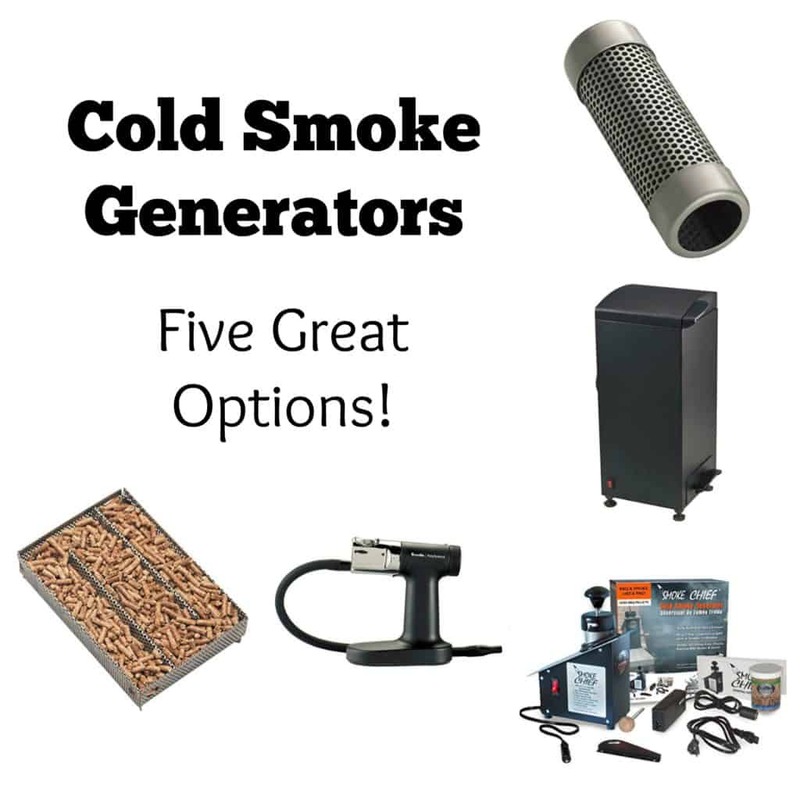 These products are popular because they work great as cold smoke generators but can also be used is gas or pellet grills to add more smoke flavor at higher temperatures. If you own a Masterbuilt digital electric smoker then take a close look at their cold smoker attachment. This is a sweet attachment that adds a ton of functionality to a Masterbuilt. The unit runs on wood chips and you can get about 6 hours of smoke from a single load. In addition to cold smoking the unit can be powered on while hot smoking ribs, etc if you want to amplify the smoke profile. I do not believe this unit works on electric smokers from Smoke Hollow, Charbroil, etc. The Smoke Chief Cold Smoke Generator is by far the most expensive option in this review. The Smoke Chief runs off of wood pellets and lets you get three hours of smoke from a load. The nice part about the Smoke Chief is that it can easily attach to just about any gas grill through the existing rotisserie opening. You can also use the Smoke Chief to add some smoke when you are grilling steaks and burgers at higher temperatures if so desired. I am putting this option in here for the home cooks who don’t have a barbecue pit and just want to add a dash of smoke to a salad, cocktail or any other kitchen dish that you want to give a flavor boost. Here is a fun video that shows you how to use a smoke gun and gives a few ideas on how to put it to use in the kitchen. I want to stress that cold smoking is a way of adding flavor to food and is NOT a method for cooking food. It is important to realize that serious inherent food safety risks exists when cold smoking sausages and fish and because of them many food scientists do not recommend cold smoking. The pH of the meat must be sufficiently low. The meat must contain the proper levels of nitrite and nitrate. The meat should be inoculated and bloomed with a starter culture of a competing and harmless bacteria. The meat must have been handled in an absolutely clean environment. Most home sausage makers are NOT going to be able to pull this off properly and risk getting folks extremely sick if they attempt to cold smoke sausages. Cold smoking bacon is a safer bet than sausage as the bacon will be cooked at high temperatures before consumption.